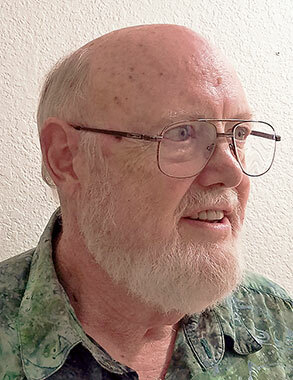 James Creighton, Ph.D. is a psychologist and relationship consultant who has worked with couples and conducted communications training for more than 50 years. Creighton recently developed and conducted couples conflict training for several hundred professional staff of the Thailand Department of Mental Health, based on a new Thai translation of Creighton’s book, How Loving Couples Fight. He has taught throughout North America as well as in Korea, Japan, Israel, Brazil, Egypt, Russia and the Republic of Georgia. In the l960s, Creighton was appointed the first Regional Director for “Parent Effectiveness Training,” a nationwide conflict resolution and communications skills training program for parents. For many years Creighton also served as a consultant to the Cancer Support and Education Center in Menlo Park, helping couples faced with life-threatening diseases establish more effective communication skills. Subsequently he worked with couples coping with AIDS as parts of the Cancer Center’s STEPS program. He has trained counselors for the University of California, the Job Corps, the Neighborhood Youth Corps, and numerous public school systems. He has conducted conflict resolution and communication skills training programs nationally for Fortune 500 corporations such as Hewlett Packard, Control Data, and Wells Fargo Bank. He has mediated organizational conflicts for numerous corporate and governmental clients. He is a leader in helping governmental agencies and private corporations address a concerned public on environmental and health issues by applying conflict resolution and communications skills. He has assisted in the design of more than 100 conflict resolution processes for many of the most controversial environmental conflicts of our time, including many regarding nuclear waste, the building of dams and power plants, disposal of toxic waste, airport noise, highway construction, water conservation, and other key issues. For 10 years Creighton also served as the Director and Co-Founder of the New Ways of Working Network (NewWOW). NewWOW was a membership-based, interactive network of organizational innovators – people who are transforming their work environment. NewWOW took an interactive approach to workplace change, combining insights from corporate real estate, human resources, and information technology. In that role Creighton wrote a number of white papers on communication within remote virtual teams. Creighton’s experience in the conflict resolution field is not limited to organizations, nor is it just theoretical. He has also been a step-father to five children and has been married for more than 50 years, the kind of real-life experience which will help give this book broad “human interest” appeal for the average reader. Creighton and his wife Maggie currently live in Maui. Creighton holds a Ph.D. in Psychology from the International Institute for Advanced Studies (external degree), and a B.A. in Psychology from the University of California, Berkeley, CA, where he also participated in honors programs in American Studies and Political Theory.